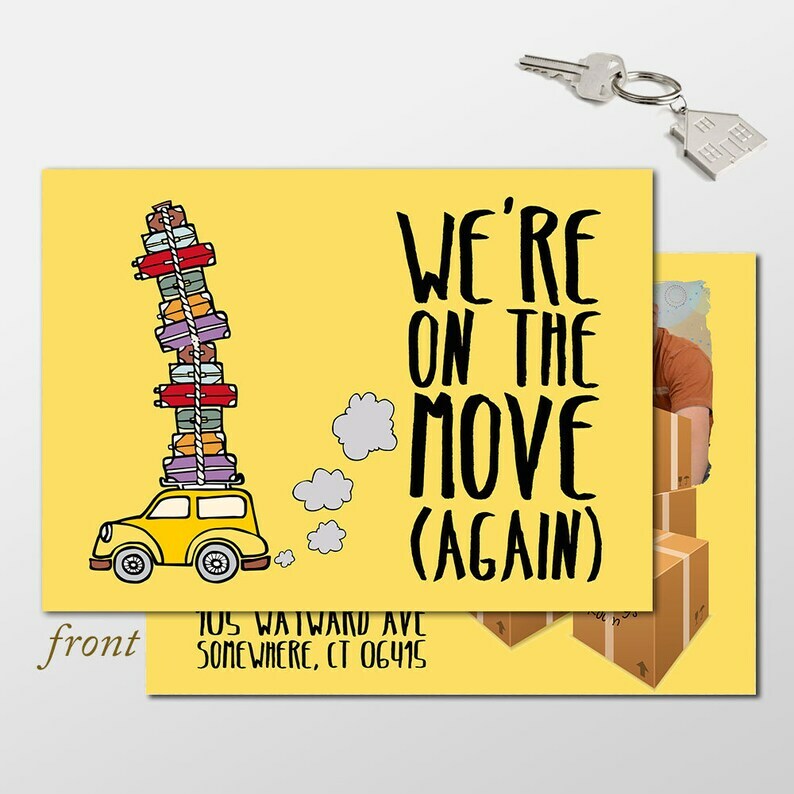 Share the wonderful news about your new home with your friends and family with this unique and fun moving announcement! FREE SHIPPING IN THE CONTINENTAL US ONLY. INTERNATIONAL CUSTOMERS, CONTACT ME FOR PRICING.